This policy covers how GoWhere Malaysia treats personal information that GoWhere Malaysia collects and receives. Personal information is information about you that is personally identifiable like your name, address, email address, or phone number, and that is not otherwise publicly available without your consent. This policy does not apply to the practices of companies that GoWhere Malaysia does not own or control or to people that GoWhere Malaysia does not employ or manage. 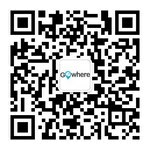 GoWhere Malaysia collects personal information when you register with GoWhere Malaysia, when you use GoWhere Malaysia products and services, when you visit GoWhere Malaysia’s pages or the pages of certain GoWhere Malaysia partners, and when you enter promotions or sweepstakes. GoWhere Malaysia may combine information about you that we have with information we obtain from business partners or other companies. When you register we ask for information such as your name, email address, birth date, gender, post code, occupation, industry, and personal interests. For some products and services we may also ask for your address and contact number. Once you register with GoWhere Malaysia and sign in to our services, you are not anonymous to us. GoWhere Malaysia collects information about your transactions with us and with some of our business partners, including information about your use of products and services that we offer. GoWhere Malaysia may use the information for the following general purposes: to customise the advertising and content you see, fulfil your requests for products and services, improve our services, contact you, conduct research, and provide anonymous reporting for internal and external clients. We provide the information to trusted partners who work on behalf of or with GoWhere Malaysia under confidentiality agreements. These companies may use your personal information to help GoWhere Malaysia communicate with you about offers from GoWhere Malaysia and our marketing partners. However, these companies do not have any independent right to share this information. GoWhere Malaysia displays targeted advertisements based on personal information. GoWhere Malaysia does not provide any personal information to the advertiser when you interact with or view a targeted ad. However, by interacting with or viewing an ad you are consenting to the possibility that the advertiser will make the assumption that you meet the targeting criteria used to display the ad. You can edit your GoWhere Malaysia membership profile at any time. We reserve the right to send you certain communications relating to the GoWhere Malaysia service, such as service announcements, administrative messages and the GoWhere Malaysia Newsletter, that are considered part of your GoWhere Malaysia account. GoWhere Malaysia reserves the right to modify, update, and change this policy at our discretion at any time.